Nuts are a popular snack packed with heart-healthy fats, protein, and vitamins and minerals that can fight many diseases. The creamy, savory, fatty taste and texture of nuts make them a popular snack to munch on when watching an intense sporting event. Though nuts have an excellent amount of health benefits, many people do not consume them. These bite-size nutritional powerhouses are packed with heart-healthy fats, protein, vitamins, and minerals. Studies have shown that individuals who eat nuts as part of their diet can lower low-density lipoprotein (LDL or “bad”) cholesterol levels in the blood. Lowering your LDL cholesterol level can reduce the risk of heart disease by decreasing the potential of developing blood clots that can cause a deadly heart attack. 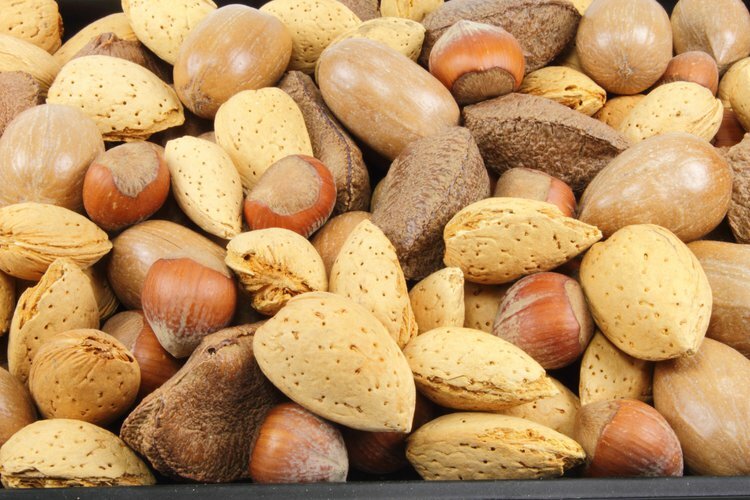 Nuts can also improve the health of the lining of the arteries. Nuts are an excellent source of dietary fiber. Dietary fiber can prevent constipation and help the body drive out biological wastes, while maintaining a healthy blood sugar level. According to the Dietary Guidelines for Americans, an individual should consume at least 25-34 grams of fiber, depending if one is a male or female. This is especially useful for individuals with diabetes, because fiber prevents lethal sugar crashes. Fiber can also decrease the bad cholesterol levels out of the arteries and blood vessels. This is another reason nuts can help improve heart health. Nuts also contain omega-3 fatty acids, which have been found to lower cholesterol levels in individuals with high blood cholesterol. Omega-3 fatty acids also fight inflammation. Inflammation is the body’s first attempt at protecting itself and attempting to heal itself. Too much inflammation is a bad thing, and there is ongoing research into the links between inflammation and heart attacks. Some nuts, like walnuts, have high amounts of alpha linoleic acid (ALA). Research has suggested that ALA may help heart arrhythmias (irregular heart beat). For great brain food, individuals should try peanuts or almonds. Peanuts are rich in folate. Folate decreases the levels of an amino acid called homocysteine in the blood, protecting the heart. Elevated levels of homocysteine are not only dangerous to the brain; it is also a risk factor for heart attack, stroke, or peripheral vascular disease. Also, studies have shown that a scarce amount of dietary folate can increase homocysteine levels in the blood, which have been linked to brain diseases like Alzheimer’s and Parkinson’s disease. Pregnant women should consume almonds or peanuts because folate helps reduce the frequency of birth defects in newborn babies. It also encourages healthy cell growth and tissue formation. Neural tube defects are conditions where the neural tube is either underdeveloped or is partially missing in the fetus. Individuals who are allergic to some types of nuts should talk to their doctor first before eating nuts in order to prevent a reaction. Otherwise, try a handful of nuts at least three times per week, in order to get the full health benefits of nuts. Nuts can help your face glow, while at the same time make your heart strong. Bazzano, L. A. (2008). Effects of soluble dietary fiber on low-density lipoprotein cholesterol and coronary heart disease risk. Curr Atheroscler Rep, 10(6), 473-477. O'Neil, C. E., Keast, D. R., Nicklas, T. A., & Fulgoni III, V. L. (2011). Nut consumption is associated with decreased health risk factors for cardiovascular disease and metabolic syndrome in US adults: NHANES 1999–2004. Journal of the American College of Nutrition, 30(6), 502-510. Vadivel, V., Kunyanga, C. N., & Biesalski, H. K. (2012). Health benefits of nut consumption with special reference to body weight control. Nutrition,28(11), 1089-1097. O'Neil, C. E., Keast, D. R., Fulgoni, V. L., & Nicklas, T. A. (2010). Tree nut consumption improves nutrient intake and diet quality in US adults: an analysis of National Health and Nutrition Examination Survey (NHANES) 1999-2004. Asia Pacific journal of clinical nutrition, 19(1), 142. Sabaté, J. (2003). Nut consumption and body weight. The American journal of clinical nutrition, 78(3), 647S-650S.